Step 1 – Lay out the shirt on a flat space. Button up all the buttons, and smooth out all wrinkles. 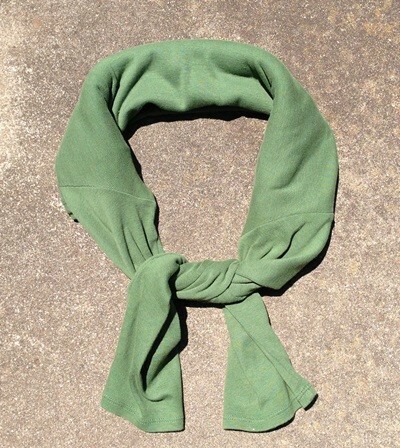 Step 2 – Fold the collar over so that the collar aligns with the arm pits of the shirt. 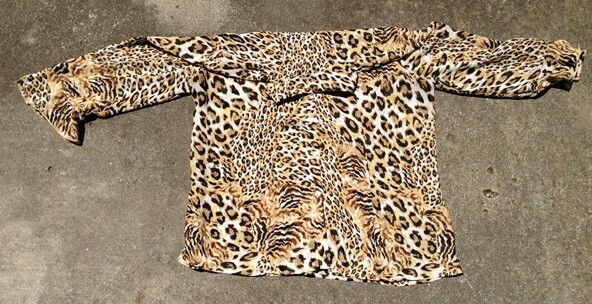 Step 3 – Fold the bottom of the shirt to within 1/2 an inch (1.5 cm) of the top fold. Step 4 – Fold the bottom of the shirt up a 2nd time. Step 5 – Fold the bottom up again, this time aligning it with the top of the shirt. Step 6 – Turn the shirt around 180 degrees. Place on neck and tie loosely. 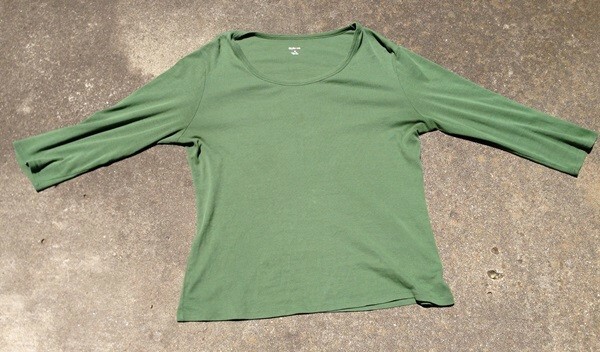 This technique can also be used for 3/4 sleeve and long sleeved T-shirts. 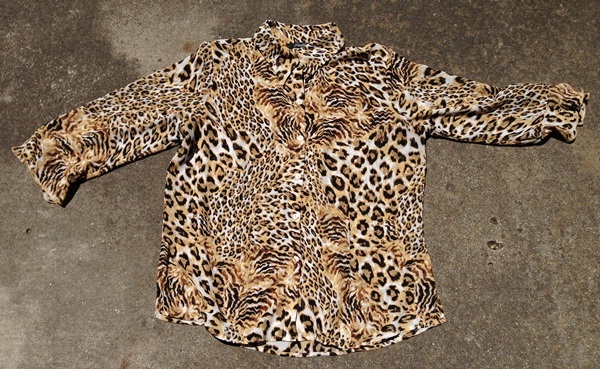 Step 1 – Lay the shirt out on a flat area and smooth out the wrinkles. Step 2 – Fold the top of the shirt down. The collar of the shirt should align with the armpits. Step 4 – Fold the bottom of the shirt up again. Step 5 – Fold the bottom of the shirt up again, this time aligning it with the top of the shirt. Step 6 – Rotate scarf 180 degrees. 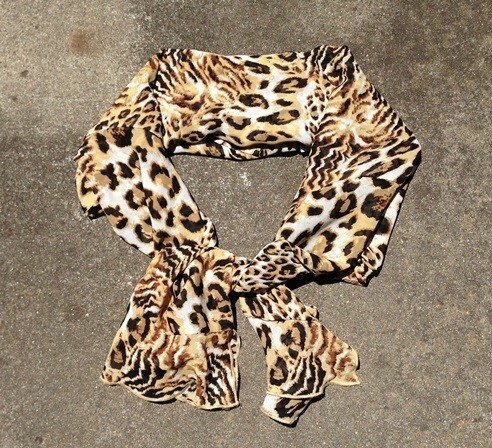 Wrap around neck and tie loosely. Very cool! I’d never have thought of doing that (and I often wear scarves). Clever! Thanks! Its an easy hands-free way to store extra clothing for the day. Or you can just fold the thing up and put it in your purse. The rolls keep the wrinkles out. How clever!! I never would have thought to do this. If nothing else you can carry an extra layer without taking up space in your day bag.